Carmex used to be one of the products that I always desperately stocked up on when on visits to the US, before it became more readily available in the UK. I’ve always loved the slightly tingly beeswax sensation, and it really does do a good job of keeping lips soft and conditioned. So I was quite excited to hear that Carmex has a new range coming out, called Carmex Moisture Plus – they are easy to use little sticks that are handbag friendly (and look a bit posher than the old-style carmex). The range includes three shades, clear, pink and peach. Peach is my favourite shade, and also the most pigmented. 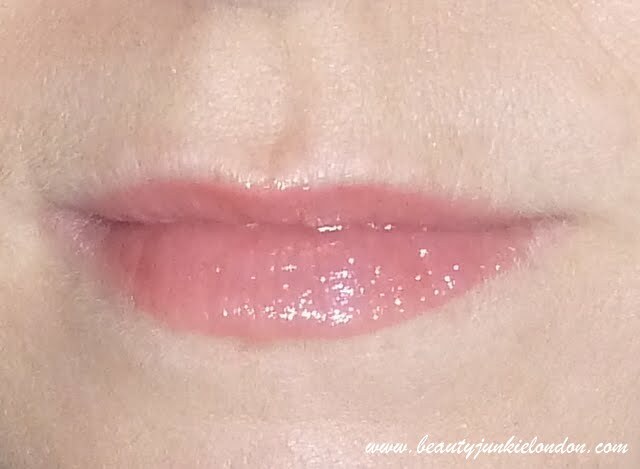 When swatched on the hand they look more sheer than they actually appear on the lips. The peach is definitely my favourite, I like how natural and flattering it looks on the lips and especially how it still has the familiar Carmex tingle. Carmex Moisture Plus is available from Sept in Boots for around £4.49. Oooo i love Carmex! Cant wait for those!